Andrew Benson-Wilson’s exploration of the 17th century North German organ repertoire continues with a recital of music by two influential pupils of Jan Pieterszoon Sweelinck, the famous ‘Orpheus of Amsterdam’. Jacob Praetorius (1586-1651) and Heinrich Scheidemann (c1595-1663) both went on to prestigious posts in Hamburg churches. Praetorius taught Weckmann and Scheidemann taught Reinken and, possibly, Buxtehude. The annual Innsbruck Festival of Early Music runs for the last 3 weeks of August (14-28) and includes amongst its many events the Cesti international baroque opera singing competition (reviewed separately) and an opera cast from finalists of the previous year’s Cesti competition. This year I was only able to be in Innsbruck for four days (20-24 August) rather than my usual week, so missed some of the potential highlights, including Porpora’s opera Il Germanica and a recital on the rarely heard little 1580 Italian organ in the Silberne Kapelle of the Hofkirche. The theme of the festival was “Stylus phantasticus” but, as in previous years, this was rather loosely interpreted. 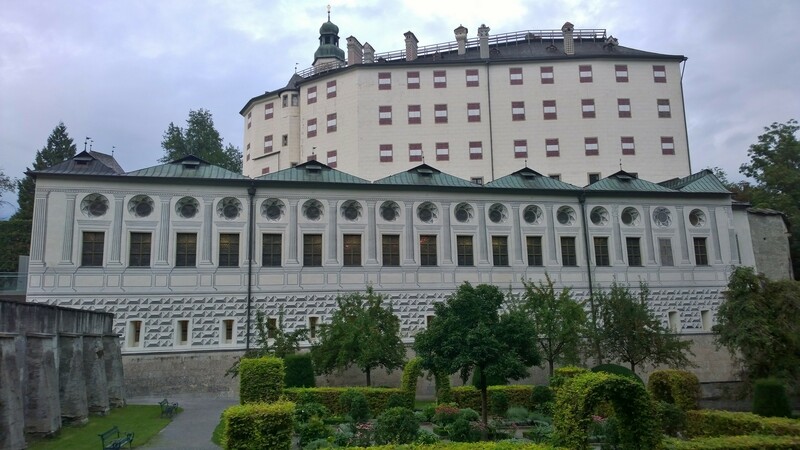 The festival opened (for me) in one of the many architectural delights of Innsbruck, the Schloss Ambras (a Hapsburg stronghold since the 1300s) and, in particular, the spectacular Renaissance Spanischer Saal, built for Archduke Ferdinand II around 1570. Niccolo Jommelli’s intermezzo Don Trastullo was originally intended to be performed in two halves between the acts of an opera – making for a long evening. Like others of its kind, it is a light comedy. With just three characters (and a large box from or into which they occasionally popped), the story tells of the elderly Don who is deceived by a flirtatious young woman Arsenia. The actual relationship between them is unclear, but he clearly has taken a shine to her. She leads him on, whilst secretly pl aning to hoodwink him and make off with his money and her actual lover, an alleged Baron, Giambarone. For this performance, the three characters were sung by soprano Robin Johannsen, bass Federico Sacchi and tenor Franscesco Castoro, with direction from Christoph von Bernuth. The orchestra was the ten-strong Academia Montis Regalis, conducted from the harpsichord by the festival director Alessandro De Marchi.